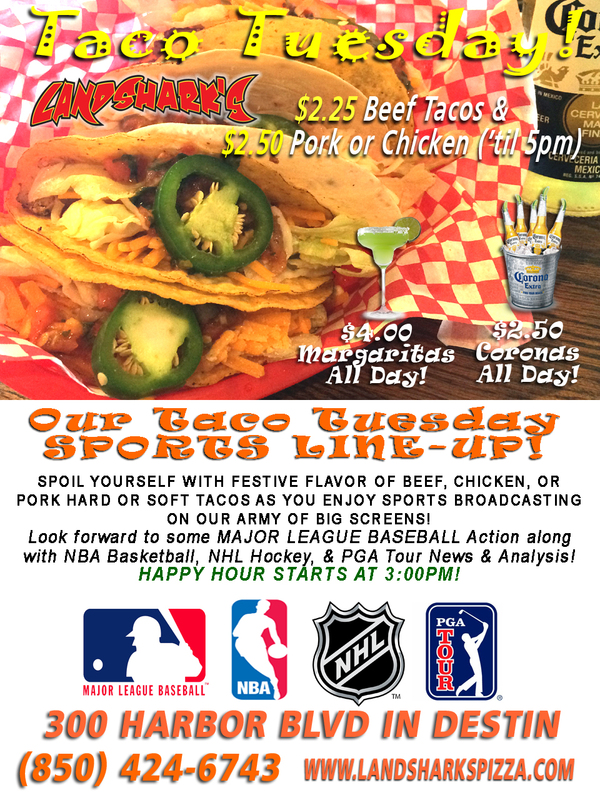 / Destin Sports Bar / Witness NBA History TODAY at Landshark’s in Destin FL! Witness NBA History TODAY at Landshark’s in Destin FL! A DESTIN, FL SPORTS NBA NIGHT TO REMEMBER – A RECORD TO BE BROKEN AND A CAREER DRAWS TO AN END! 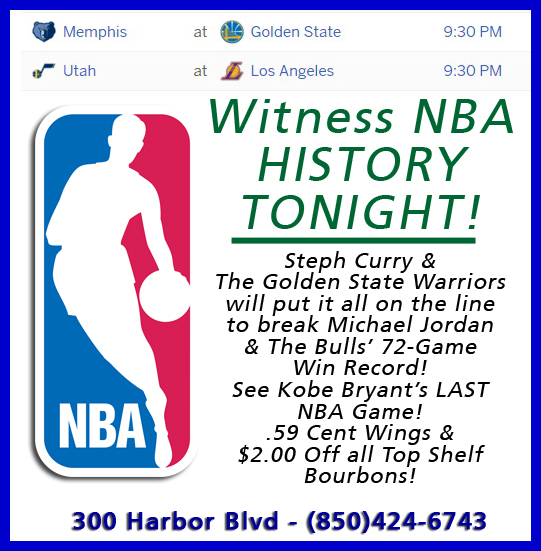 Witness NBA HISTORY tonight as Steph Curry and the Golden State Warriors make their attempt to get a record-breaking 73rd regular season win to shatter the 72-win record already tied, that originally set by Michael Jordan, Scottie Pippen, and the Chicago Bulls during the 1995-1996 season: 20 YEARS IT’S TAKEN! 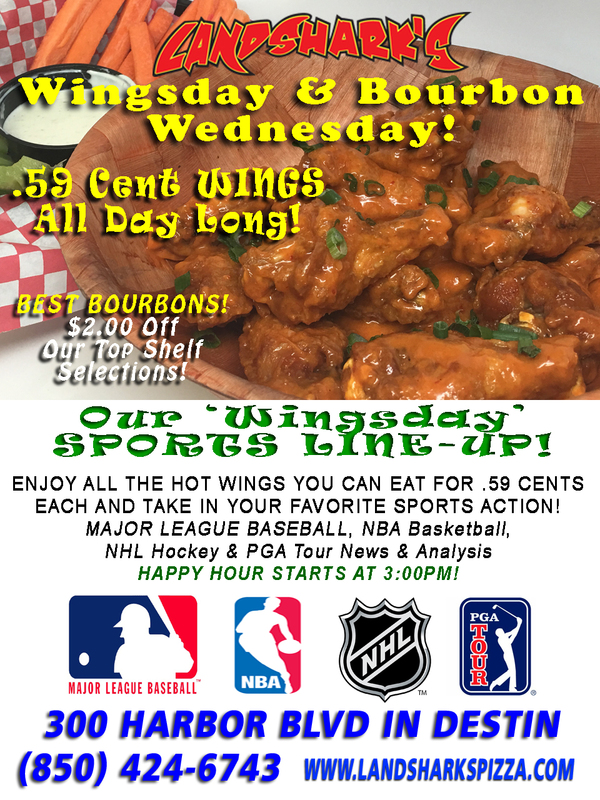 Kobe Bryant’s final game of his long career draws to a close during the same time slot and Landshark’s will be showing it while you munch on .59 CENT HOT WINGS ALL YOU CAN EAT and sip on TOP SHELF BOURBONS at $2.00 OFF! Previous Post: « Destin FL Taco Tuesday at Landshark’s on the Harbor!